As two rotary pistons must always mesh with each other in rotary piston pumps and these terminate with the pump wall, the exact dimensional accuracy of the rotary pistons is critical. The required service life can only be maintained if the fitting of the piston surface to the pump housing is optimised. 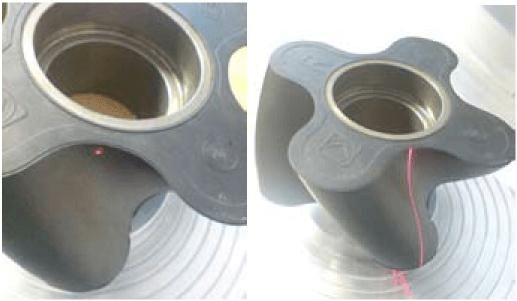 Therefore, the complete surface of the piston is measured and compared with the target shape to strict tolerances. Qsigma GmbH based in Kassel, Germany has developed a universal 3D measuring machine for these applications. The rotary piston is positioned on the rotating axis. A scanCONTROL 2700 profile scanner with 50mm measuring range is used to record the surface profile and shape. For larger components, the profile scanner can be traversed vertically on a linear axis. An integrated optoNCDT 2200 laser sensor with 200mm measuring range is also used to determine the exact position. This sensor acquires 10,000 distance values every second with a resolution of 3µm. The object rotates during the measurement. Only five seconds are required for the automatic inspection process. 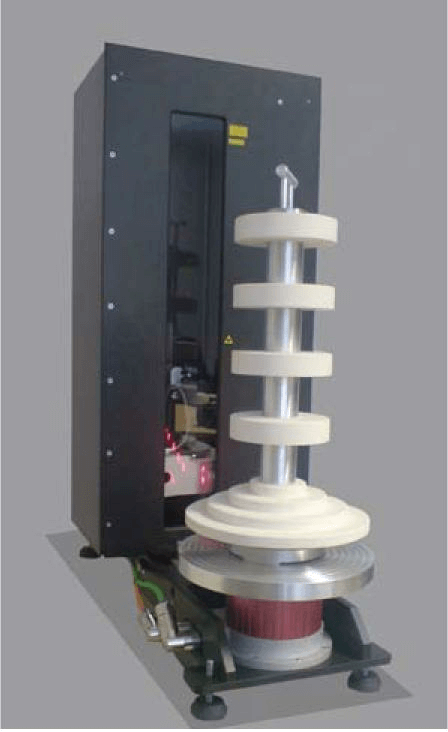 After successfully scanning the surface geometry, the measurement data is compared with the target object. In addition to rotary pistons, the system can also be used on many other objects with rotational symmetry.